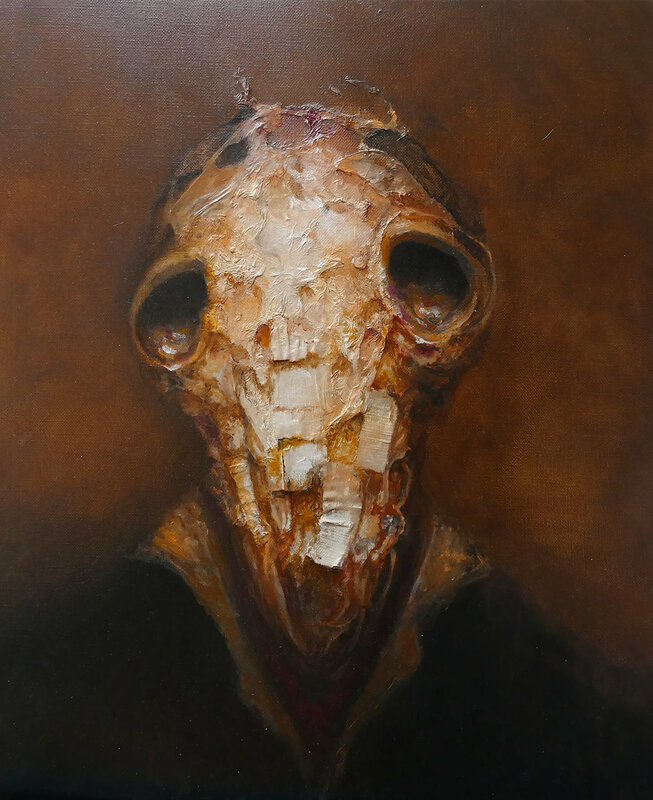 Eric Lacombe (born 1968 in Lyon, France) is a graphic designer, digital artist and self-taught painter whose work is focused on melancholy intended as a negative and yet unavoidable feeling that is often accompanied by fear, anxiety and sadness. Lacombe’s work has been conceived to investigate the most remote corners of the human mind, populated by depictions and transfigurations of the human body in the context of a plain, unadorned metaphysical scenery. 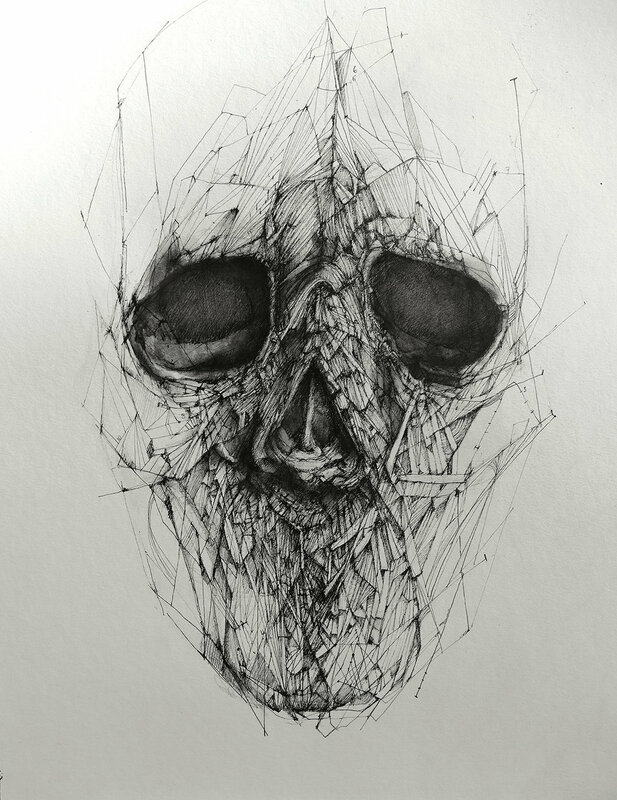 Eric Lacombe’s works are characterized by a well-thought-out juxtaposition of figurative elements and bodily expressionistic brushstrokes. Lacombe meticulously deconstructs the subjects of his compositions to highlight their three-dimensional qualities and invite the viewers to come up with their own interpretation of the work they stand in front. He uses acrylics, paper, oil, pens, paper mixed up with glue and acrylic, and various other techniques and materials. Lacombe’s paintings can be found in many private collections, and have been included in many group and solo exhibitions. He currently lives and works in Lyon, France.